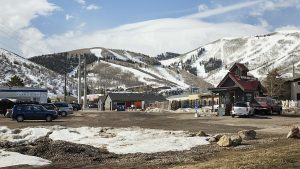 Park City leaders last week endorsed the idea of creating a law to prohibit people from selling lift tickets on the secondary market inside the city limits and could enact the law at a meeting this week. 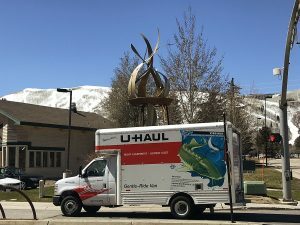 The Park City Council last week did not spend an extensive amount of time discussing a law, but the elected officials signaled their interest in one. A law would only be in effect inside the Park City limits. 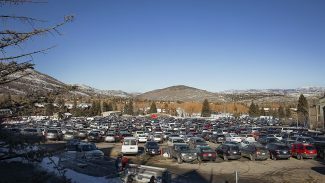 The base areas of Park City Mountain Resort and Deer Valley Resort are situated inside the city. The law would make violations class B misdemeanors, punishable by up to six months in jail and a $1,000 fine upon conviction. Tricia Lake, a City Hall attorney who drafted a report to the elected officials in anticipation of the meeting on Thursday, said in the report people convicted of misdemeanors are "rarely sentenced" to the maximum. "Both the city and the resorts are primarily interested in this ordinance as a deterrent," Lake’s report says. The report says "there is no expectation that there will be a significant number of charges filed under this ordinance." If the law is enacted, it would not take effect until it is published. That would happen as early as the Wednesday following a City Council vote, meaning that a law would be in effect during the final weeks of the current ski season. The resorts want to stop people from selling lift tickets at lower prices than people pay if they are buying them from the ticket window. The lift tickets on the secondary market may have been complimentary or could have been bought at a discount as part of a coupon book. City Hall attorneys have been in talks with the two resorts while the law was being crafted. The attorneys have also researched similar laws in states like California and Colorado, saying that the proposed Park City prohibition would be similar to those. The City Councilors last week did not take a straw poll, but it was clear from their comments they were supportive of a law. City Councilors inquired about topics like whether resort employees selling passes they received from their employers would be covered by the law. Lake said the practice would be prohibited unless the resort endorses the activity. Andy Beerman, a City Councilor, meanwhile, wondered whether city officials would be obligated to investigate online lift ticket reselling if asked to do so. 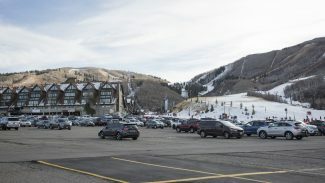 Lake’s report indicates there are larger worries with people who are selling lift tickets in the resorts’ parking lots than there are with reselling online. Resort officials have said a law prohibiting reselling lift tickets would stop people from undercutting the walk-up price at the ticket windows. PCMR has also maintained that its lift tickets have a chip inside programmed with the on-mountain privileges that go with the ticket. Someone buying on the secondary market might not understand which privileges come with the lift ticket, the resort has said.